Word has been received of the death of Dorothy Moore, who with her late husband, Roger, served at the Grace Brethren Navajo Mission in Counselor, N.M. during the 1980s Her obituary appears below. Dorothy Cope Moore, age 92, beloved mother, grandmother, and friend, left this world peacefully on Sunday, Sept 2, 2018. She will be greatly missed, but we can all rejoice that she went home to be with Jesus. A longtime member of Grace Polaris Church, she was modest and caring, living by faith in God, and willing to help anyone in need or who just needed a good listening to. With the strength of the Lord, she overcame many challenges in her life, while remaining steadfastly faithful and an inspiration to others. Our family will miss her dearly, but we take comfort that she is in a better place, in the company of many loved ones who have gone on before her. We thank you all for your prayers and good wishes. Dottie was born at home in West Chester, Pa., and raised in the Quaker faith. After the death of both parents early in life, she grew up in Detroit, Mich., in the care of her maternal aunt and uncle, Dora and Clinton Mills, M.D. 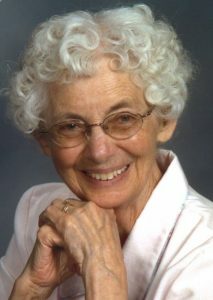 She earned a bachelor’s degree in nursing in 1944 from Wayne State University and Henry Ford Hospital as a U.S. Cadet Nurse Corps RN, and went on to study psychology at the University of Maryland many years later. Her compassion and empathy for the sick, injured, handicapped, or needy was put to good use in all facets of nursing occupations over her career as a hospital ward nurse, clinic nurse, home visiting nurse, school/camp nurse, psych ward nurse, and others. Dottie supported her first husband, Jack Harold Hutchison, and raised their three children, while moving frequently over a 30 year period to follow his educational pursuits and career across the country including living in Michigan, Pennsylvania, Illinois, the territory of Alaska, New Mexico, Iowa, Ohio, and Maryland. Her second marriage to Roger A. Moore, Sr later in life was a perfect match. After retirement, they continued to work hard together during their golden years, moving from Columbus, Ohio, to Albuquerque, N.M., because the Lord led them to support the Grace Brethren Navajo Mission and School for over a decade. Finally, they retired to Franklin, Tenn., until Roger’s passing in 2000. Eventually, Dottie returned to Columbus, Ohio, to be closer to her family and church friends. She was devoted to church and community service wherever she lived. Dottie’s family deeply appreciates the outstanding support and care provided in her final years by Worthington Christian Village; the peaceful care offered at the Inn at Bear Trail during her final days; and most of all to the awesome care and timely response from every single member of the team at Capital City Hospice of Columbus, Ohio. Dottie is survived by her older sister Anne Raddatz of Decatur, Ill., and close cousin Andy Mills of Lower Gwynedd, Pa.; as well as her three children: Col. James Hutchison (Peggy) of O’Fallon, Ill., Marian Hutchison of Westerville, Ohio, and Robert Hutchison (Vicki) of Westerville, Ohio, and stepson Roger Moore, Jr of Aztec, N.M.; and nine grandchildren, and great-grandchildren, cousins, nieces and nephews; along with many loving church friends. She was preceded in death by her husbands Jack and Roger, as well as her older brothers Andrew P. Cope and William T. Cope; and step daughter Christie Moore.